If not stated otherwise, product delivery will commence after the payment has been confirmed by LENG.HK within 3 – 4 working days . If product is out of stock or cannot be supplied under unpredictable reasons, we will contact buyer directly for product delivery re-arrangement. Please note：Ngong Ping, Hong Kong Disneyland, the outlying islands (including the Discovery Bay and Ma Wan) does not provide delivery service. ***Some European countries including but not limited to UK, France may take relatively longer time for customs clearance or import inspections and additional time is consumed in some remote areas, the delivery time may therefore take up to 3 – 4 weeks. Paypal to directly debit funds from your bank account. It’s easy, fast, and secure. 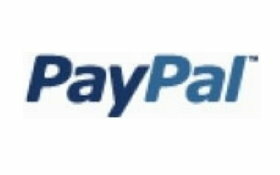 Paypal accepts credit card including Visa, Master, China Unionpay, American Express and Discover. Please pay directly to LENG.HK Paypal account : (sales@leng.hk). Your order will be processed after payment confirmation. Product pricing exclude shipping and taxes, the customer must own the import reference to country of residence laws. LENG.HK is not responsible for import/export taxes, customs duties and related taxes applicable in the customer’s respective country’s regulations. Customers also need to understand the import laws and regulations related. if the purchased product does not meet the importing country’s laws and regulations, products may be confiscated by the Customs or will be returned to the shipper. We apologize that LENG.HK will not be held responsible for such circumstances. You will be regarded as local importers for goods shipped to countries outside Hong Kong, China. You will therefore undertake to pay for any additional fees, taxes or registration fees which may be imposed on importing the goods in your respective country. Or if there is a need for you to apply for import licenses, depending on your country’s legislation and requirements, this is outside the jurisdiction of LENG.HK and we will not be able to anticipate the charges incurred for such fees specified, nor be responsible for filing claims for such payments or assume any legal liabilities. Should you have any questions regarding your country’s import tariffs and regulations, please contact your local Customs Department. If you press the “Continue” to complete the subscription program that is offered for the delivery of all orders in surcharges taxes or import file to apply for mater relating to responsibility. Good as a result of your failure to complete the final statement for responsibility who were to return this, LENG.HK site will be charged 15% of total goods wing to make up for the loss of freight. How about stating : For all shipments to overseas countries out of Hong Kong, an invoice stating the actual value of the products will be accompanied with the shipment for Customs purposes. We are unable to alter the value of products for Customs declaration. Orders due to unknown addresses, PO Boxes, Hotel address, no recipient on delivery times, the recipient refused to pay taxes / refuse to provide identification / failed to reject the goods declaration or the recipient parcels and other reasons have been returned. If failure of delivery are return to us, we will deduct the original refund shipping, handling and 15% of the total products (such as the order is being sent to Hong Kong return address, we will refund the deducting the original shipping, handling and HK$30) as a back order processing fee. We can reship the returned package again, but you need to pay delivery postage again. Re-shipment postage is based on your order and mail the original shipping method country / region. Once you have completed your purchase thru LENG.HK, we do not accept any changes on ordered items and delivery address. For any changes on ordered item or delivery address, a HK$50 administration fee is required for each change. Please note : Whenever you make a change of an order, the estimated delivery date will be affected. Once an order is being packed or dispatched, no change will be accepted. No changes will be accepted for orders deliver to International Regions (outside Hong Kong &Mainland China). Click Contact us, provide us with your Order Number. Indicate returned products and the reason for your return in the input box area. After attains the LENG.HK agreement to accept exchanges product. Your excellency receives in exchange for the goods, must be higher than or with first buys the goods same price front, if goods of value the receiving in exchange for is lower than buys the goods, then by same price processing. All returned products must the prepayment exchange product amount balance and return trip transport expense, we not accept the consignee to pay the transport expense ever slightly. We can mail exchange product the confirmation letter, please print exchanges product the confirmation letter, ships back together with product and the receipt for us. Any product that is returned more than 7 days after receipt. Any product that is not in its original condition, is damaged, or with missing parts. Discounted items, or products on special offer or clearance specified by LENG.HK as non-returnable. Products as free gifts or samples. In the event of dispute, LENG.HK’s decision shall be final and conclusive.